Ethan - "This week was awesome!!!!! (repeat x10000). 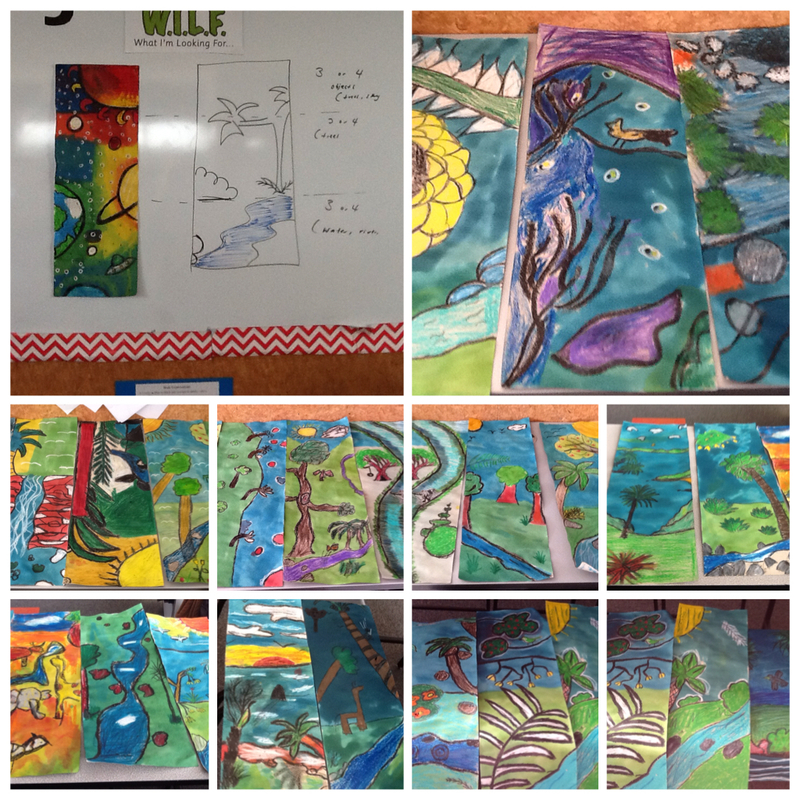 We had lots of conservation related things going on. Monday was normal, Tuesday was the same, Wednesday we had a person come to talk to us about conservation, and Thursday we had a conservation challenge which was epic. There were eight challenge's including tenpin bowling with basket balls and empty milk bottles. 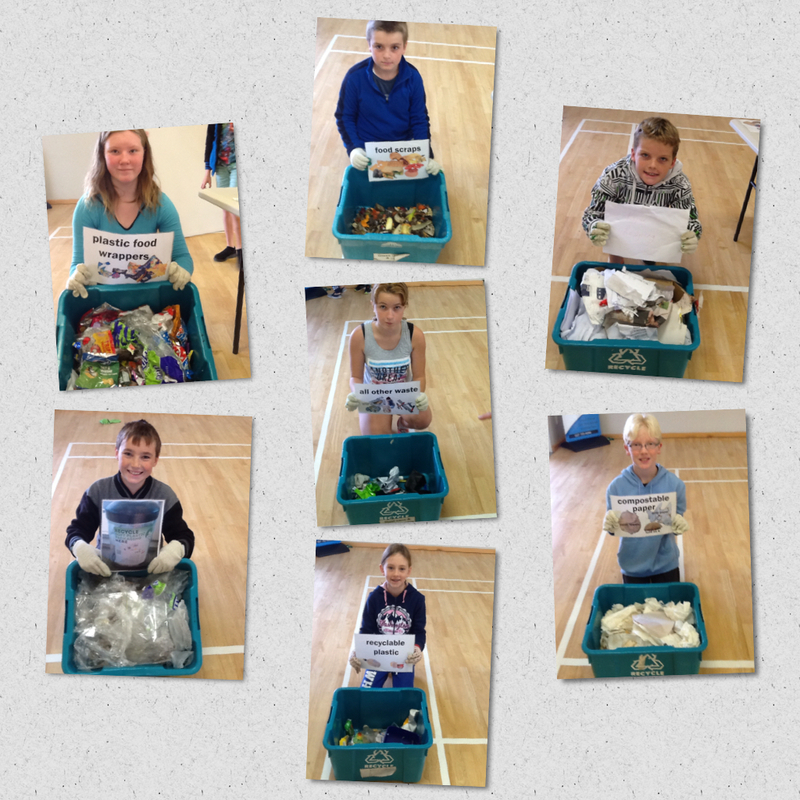 The whole class also had to make a toy from rubbish. Mine is the picture below. It was cool!" Zeila - "What an exhausting week! This week we have done so much work. Three of us have worked so hard on this thing called a rubbish line, which has 156 pieces of rubbish, 1 hr to make and 16 metres". Sam - "In rm5 we have been working on toys for homework from trash which has been fun making them and here is mine. 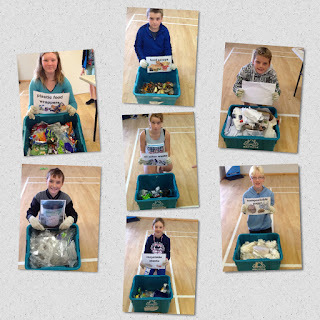 As well we have been doing our wide reading which is fun as well we did this conservation audit with Tori and we had to sort all of the rubbish with the recycling. This is how much rubbish that would of gone into the landfill but it could of been recycled but instead we reduced, reused and recycled". 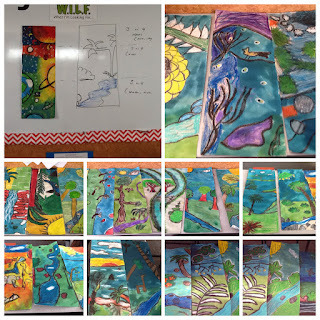 Finally, check out our Conservation Panels created with crayon and dye . . . very effective we thought! First we discovered (during our practise on newspaper with black crayon) the elements of shape, line and texture (the principles of pattern - PK). We then planned out our panel by dividing the paper into thirds. Each third (foreground, mid ground and back ground) needed to have at least 3 to 4 conservation themed black outlines, and some of these needed to be cropped. Once our black crayon outlines were dark enough we had to colour our art with crayon using the primary colours (red, blue and yellow), green and white. Dye was then applied focusing on harmonious (similar tone) or contrasting effects. The results . . . Stunning artwork Ruma Rima! Well done Ms brown and kids!